With this product you can accumulate up to 82 Glitter Points. 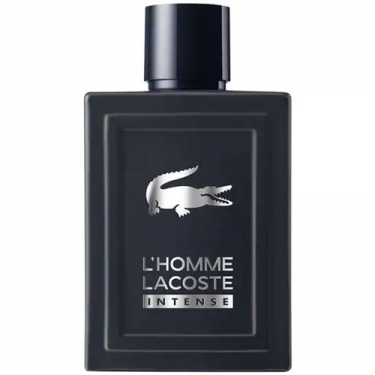 DESCRIPTION: LHomme Lacoste Intense from Lacoste is a masculine spicy woody scent. A more intense touch of the initial fragrance underlining the natural charisma of those audacious men who lead the game with style and elegance. Its graphic and masculine bottle becomes opaque in a matte blue of the night. FRAGRANCE: Rhubarb, quince, tangerine, orange, lemon, grapefruit, ginger, black pepper, jasmine, almond, hedione, pineapple, vetiver, cedar, akigalawood, musk, amber, vanilla, cipriol oil and amber wood.